An extended terraced house offering well planned space to suit a family with maintenance free garden with nice aspect. There are three good double bedrooms; generous open ground floor reception space with wood floors and useful eaves and built-in storage. The property is available in mid July 2015 and the landlords would be accepting of a longer term let if required. Batson Street connects the middle section of Percy Road to Westville Road near Greenside School and is in a quiet and popular family orientated area to the east of Askew Road. Both Cathnor and Ravenscourt Park are within a short walk, as are numerous other good schools and the shopping and transport hubs of Hammersmith and Westfield. 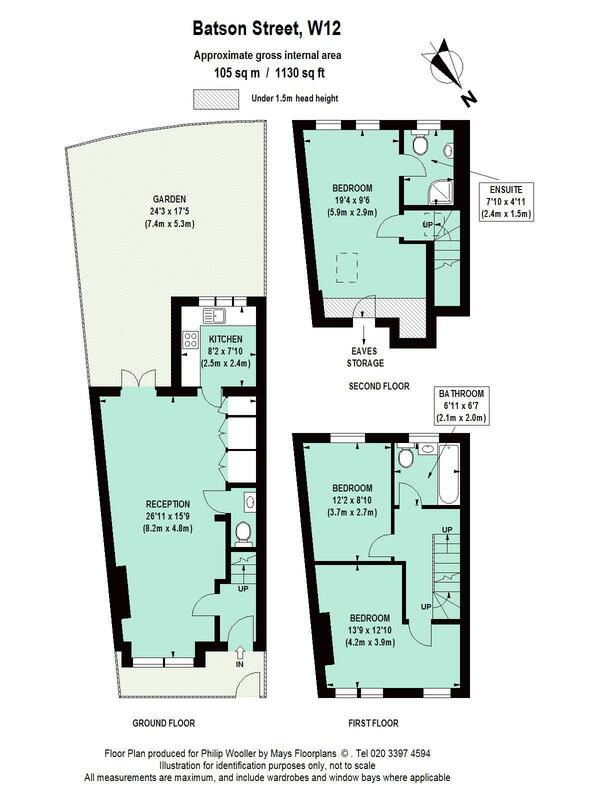 1130 sq ft / 105 sq m approx.